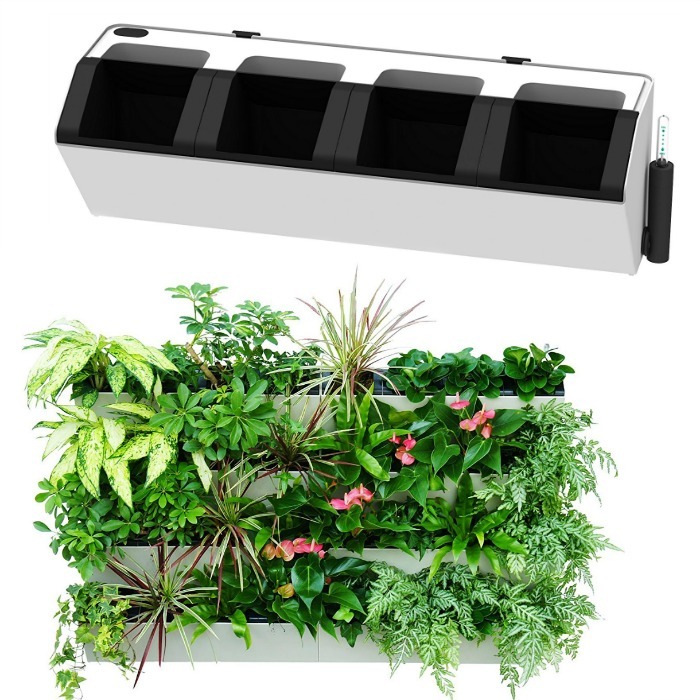 BloomWall Vertical Wall Garden Planter Just $49.99! Down From $70! You are here: Home / Great Deals / Amazon Deals / BloomWall Vertical Wall Garden Planter Just $49.99! Down From $70! Amazon has this BloomWall Vertical Wall Garden Planter for just $49.99 (Reg. $70)! ENDLESS HOME AND GARDEN POSSIBILITIES – 1 Rack 4 Pots Vertical Garden Planters by SavvyGrow are the ideal hanging planters for plants, flowers, herbs and succulents, turning any unused or ugly area into a vibrant and lush vertical garden. Perfect for any space, these garden pots are ideal as balcony planters or as a wall planter for yards large and small, apartments, patios, schoolyards and community gardens. MAKE PLANTING PAINLESS – Our Vertical Wall Planter is a Self Watering system with water lever indicator. You just fill the reservoir and it will automatically keep your plants water and will let you know when to refill. SUPERIOR EXPANDABLE DESIGN – Product can be use as standalone or connect horizontally or vertically to form a vertical garden. You can easily mount it on wall any where to grow and lighten up your space. All mounting equipment is included. GROW YOUR OWN FOOD within a few feet of floor space with vertical gardening to provide you and your family with salad, vegetables and herbs all year long! By eating food from the vertical garden kit at the time of harvesting, you may absorb many more nutrients than you absorb from store brought fruit and vegetables. IMPROVE YOUR HEALTH – These patio planters are much more than just flower planters for your flower garden. The plants in a vertical garden system remove harmful Volatile Organic Chemicals (VOC’s) that come from refrigerators, air conditioners, cleaning products, cosmetics and carpets. VOC’s can cause a weak immune system and devastating illnesses and diseases.